This project includes designing a personalized Logo, wedding invitations and wedding favors. 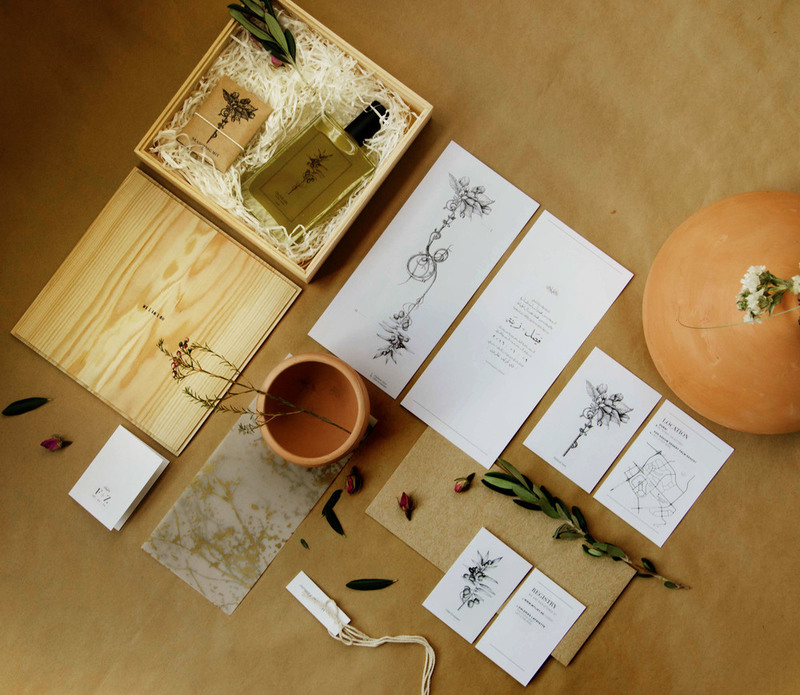 The branding concept, inspired by the couple’s backgrounds, is represented by a botanical hand illustration of an intertwined olive branch with a pistachio branch. 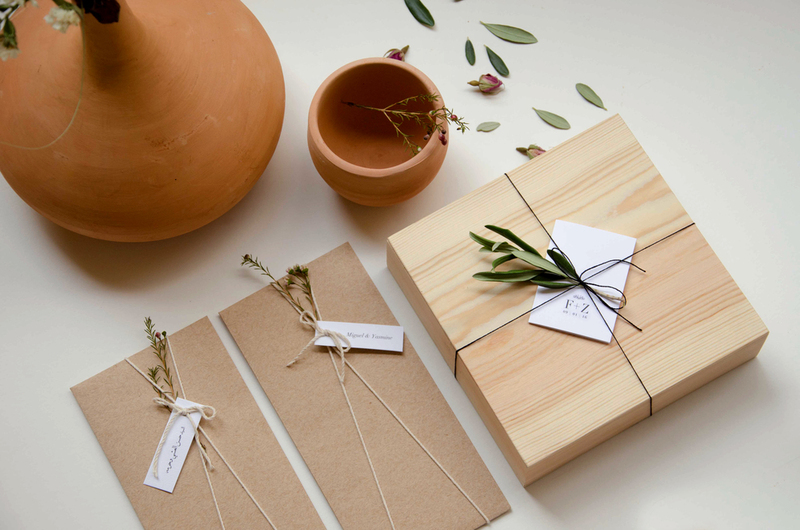 The visuals are carried through in the wedding set which includes Arabic and English wedding invitations and customized gift boxes for the guests comprised of an olive oil bottle and a pistachio based seasoning mix.